Reducing the cost of food waste disposal into landfill is a key performance indicator for manufacturers today. Mike Heap, director of Verder UK and Paul Smith, north east sales representative, explain how processing food waste by removing solids and water allows manufacturers and their recycling partners to extract bio fuel. This can then be sold on to gas utilities and municipal councils. The process of anaerobic digestion and bio fuel extraction is increasingly being driven by legislation. Furthermore, according to press reports, food waste bins are soon to be issued for use by all households. The UK Revenue and Customs’ Landfill Tax is calculated as an inflation-plus escalator and, year by year, every tonne that goes to landfill becomes increasingly punitive to manufacturing profits. In the UK, we have just passed the halfway mark for the number of tonnes recycled against those that go to landfill. Other press reports show that we throw away as much as we buy in terms of tonnage. The race is on then to provide enough non-animal stomachs to digest all this food mechanically. Anaerobic digestion replicates the process of extracting energy in the form of bio fuel. As part of this process, Verder works with contractors in service of supermarket chains, breweries and all types of food manufacturers. For example, a prestigious brewery in Norfolk has installed an anaerobic digestion facility for producing biogas to be fed into the national gas grid. The facility is fed with kerbside-collected food waste, food processing waste, supermarket food waste and brewery waste including waste from its own outlets. The organic matter enters into a feed inlet at the start of the process where a rotor chopper breaks down the raw material. Verderflex pumps move the chopped slurry from holding tanks and through a heat exchanger to raise the temperature prior to entering the main anaerobic digestion facility. As the hot organic material enters the main facility it is dosed reliably and accurately by a Verderflex Dura pump with an inorganic pH buffer to accelerate and maximise the breakdown of the material. The large mass of organic material is ‘churned’ by Verderflex pumps in a plant room connected through a series of pipes to maximise the surface area and further accelerate the process and obtain the greatest yield of heat and biogas. The heat is recycled back into the heat exchanger. Upon completion of the anaerobic digestion process, the digestate and waste water is pumped from the tank by a Verderflex pump for further use as fertilizer. The final product of biogas is then filtered and processed further, ready to be fed into the national gas grid. By receiving outside waste from households, restaurants and local industry, the brewery can also charge per tonne at a rate lower than that of the Landfill Tax. Some of the gas is also tapped off and used for wagons that collect waste food. Verder has also worked with an energy utility in Scotland which separates plastics and metals before the waste goes into a large mincing machine to produce a pulp. This is then fed into the digestion process, going through several polymer tank sections. This process is reminiscent of the structure of a cow’s digestive system; with separate stomachs for different stages of digestion, which decompose the material by reducing its mass to generate methane gas. The combined tank may be the length of half a football pitch, with each section regulating process variables such as flow and temperature control, which are determined by chemical specialists and engineers who provide the specifications to Verder. Verder then advises them on the best way of moving particular liquids through the complete process, which will encompass pipework, pumps, valves, instruments and controls in one integrated solution. 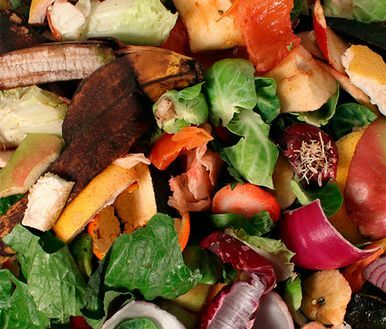 Much of the process is self-wetting, and thus doesn’t need additional liquid to be added so that it can be processed efficiently because food waste has such high water content. Verder pumps are ideal for handling this type of material, which has the consistency of slurry, especially if it contains eggshells which can be very abrasive to pumps. Because of its high viscosity a large and expensive positive displacement pump would normally be used but Verder’s HUS centrifugal screw channel impeller pump is suitable for sludge and slurry, paper pulp, effluent, mash and many other fluids which are viscous or have a high solid content. Resistant to clogging even when pumping fibred fluids and unaffected by viscosity changes, Verder HUS is suitable for water treatment including thick sludge, thickened media, slurries, sewage and waste water. In food and beverage, it can handle diatomaceous earth, slurry, yeast, sugar, gelatine, hop, corn and malt, as well as agricultural waste such as chicken necks, bones, compost, biogas and pet food. Because Verder’s technology can handle both viscous material and is tolerant to abrasive waste, a Verder HUS pump can be used where its gravity fed to the pump - at half the cost of a positive displacement pump. Some positive displacement pumps, such as progressive cavity pumps and rotary lobe pumps may have what is known as interference; where one element fits tightly inside another, so the abrasion is amplified in a grinding effect. Where a product needs to be drawn from a tank, a peristaltic pump like Verderflex provides exceptional suction lift, so it can vacuum the dregs up and abrasion is not an issue. It can also run dry without damage whereas progressive cavity pumps and rotary lobe pumps would suffer great damage. Verderflex will readily prime a 40m long suction pipe without damage, where other pumps would struggle from a dry prime condition with no liquid present in a pipe. Verderflex will even pump air without damage. The Verder HUS centrifugal pump has fewer, easily made components and therefore costs less than a positive displacement pump – for a given flow rate, the HUS pump will have a smaller footprint. Verder HUS is also more energy efficient than a positive displacement pump and uses a smaller motor, typically from 2.2 to 7.5kW . Verder’s expertise lies not only in a sound understanding of pump mechanisms but also in the process itself, including the pipework requirement to reduce or prevent blockages, in this case anaerobic digestion. Ultimately, although a pump is a simple device, with inlet and outlet connectors and an electrical requirement for the motor, a great deal of expertise is required for optimum application. Unlike the company’s competitors who concentrate solely on their pump offerings, Verder also supplies engineering knowledge of pipework and valves, recognising that the pump is part of a bigger system. For example, Verder knows that taper pieces do not work with abrasive waste material and tend to block. As a result, they use a bush instead to connect, say, a six inch pipe to a four inch one. There is still an occasional blockage problem because users don’t have control of the incoming material, but where there is an elbow bend for example, Verder can put on an inspection cover which can be removed when there is a blockage, thereby avoiding the need to take the entire pipe out. Verder also puts in rodding points to allow access into a pipe by using a rod with a ‘pig’s tail’ attachment, to de-rag it or to remove other unexpected material like fibres. This avoids long process downtimes as a result of pipe removal. Users can also put high pressure jetting hoses into the same access points. Verder HUS pumps are used inside an anaerobic digestion process to transfer the food between the tanks within as well as supplying into the process. The same pumps are ideal for potato and carrot peelings, and Verder has had a measure of success abroad in processing by-products from abattoirs and slaughterhouses. These include internal organs in poultry preparation for example. Verder has recently completed a project through a third party contractor, which involved developing a trial system for recovering oil from orange husks. In the past, the contractor used rotary lobe pumps with little success. The HUS pump has actually gone into a more complex application than it was first supplied for – the process feeding the final element of the application. The application is more complex because it is feeding a centrifuge and pumping highly abrasive products where a rotary lobe pump would normally be used to handle the viscosity. The Verder pump has already outlasted, by many mulitples, the rotary load pumps that were previously used, which were lasting only 200 working hours at most - or roughly two weeks. For the factory manager, this means less downtime and less maintenance cost, allowing him to concentrate on producing the product he is trying to get out of the final process. The current flow rate from the Verder pump is six cubic metres per hour, which is under its specified maximum of double that throughput. This flow rate could not be achieved by rotary lobe pumps because of their wear and tolerances. In terms of downtime on most applications, the cost of a Verder pump ranges from £3,000 to £12,000, and is negligible compared to a downtime cost of £5,000 to £10,000 an hour. The HUS pump is comparatively simple to repair, typically in less than half the time it would take to repair positive displacement pumps such as progressive cavity pumps and rotary load pumps. When it comes to a peristaltic pump like Verderflex, only one working part needs replacing - this takes two hours at the most. There is always a risk of an ‘upset stomach’ from ingesting the wrong material into the anaerobic digestion process, and, in the same way that humans can take a dose of medicine to relieve an upset stomach caused by a pH imbalance, One Verder customer doses in sodium bicarbonate (NaHCO3), also know as bicarbonate of soda, to counteract the problem. Verder provides dosing systems too, so that customers can have one point of contact for the entire process. This obviates the need to deal with disparate suppliers, each with their own product niche expertise causing them to be blinkered to the others. If the process fails, separate suppliers will always blame the other companies in the chain. Verder has both the process knowledge and expertise in pumps and systems, and can therefore take responsibility for the entire system. By taking an overall view of the anaerobic digestion process, Verder knows where parts of the system can be adjusted. For example it could be that the pipework needs adapting to optimise pump operation, or by modifying the pump to accommodate a pipework problem a better solution can be achieved. Once the initial concept has been formulated, Verder design engineers are able to apply their grasp of the entire liquid transfer process from beginning to end, and can produce 3D drawings using software tools such as Solidworks. This is followed through to project management, installation, plant commissioning, training and after-sales support, which includes service vans that travel to customer sites to keep pumps and pipework in optimal condition. For example, in the case of the energy utility in Scotland, Verder had a specialist on-site for a week after it supplied the equipment to keep an eye on commissioning. This is because suppliers of waste will deliver material of different consistency, making for a difficult application which Verder has the experience and expertise to address, by getting the design right initially and tweaking it as necessary thereafter for optimum performance. Customers will include energy producers, food manufacturers, major waste recyclers, companies with on-site anaerobic digestion facilities and any company that is concerned with reducing its carbon footprint - because whatever goes to landfill is wasted carbon. Companies need to operate at a certain scale to make this kind of energy recycling work, so smaller scale domestic recycling has to be coordinated by local councils and municipalities to produce bio gas from tonnes of incoming material on a daily basis. In contrast, snack and potato food manufacturers like Mars, Walkers, Unilever, Seabrook and McCain will have in-house waste management facilities. Verder works with both kinds of pioneers in the bio gas industry to maximise production.